Halloween Sugar Hangover Cure – Apple Cinnamon Acai Bowl! When Halloween rolls around, you may eat a teeeeeny more candy then you want to admit, and your probably not gonna feel to great the morning after. That is what I call a “sugar hangover”. Yes, we all get them sometimes, but I’ve got the perfect cure! It’s my Halloween-Hangover-Cure Apple Cinnamon Acai Bowl. 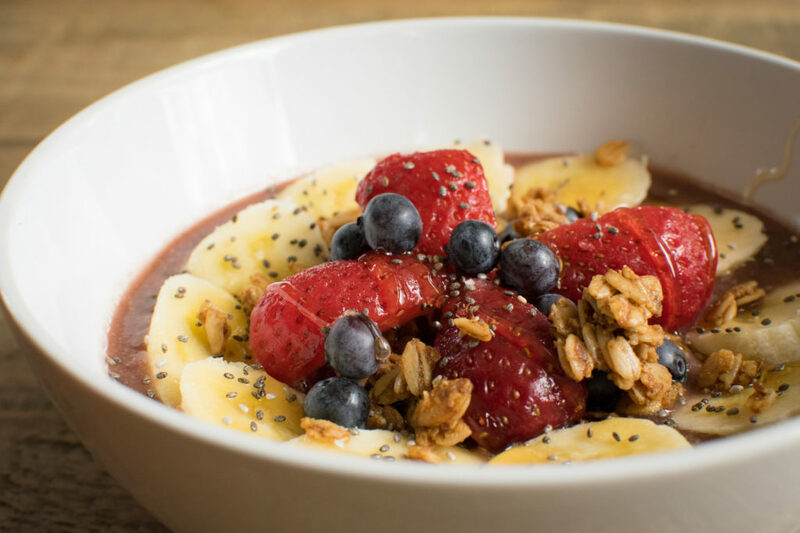 It’s got a cold, refreshing, creamy, acai smoothie base topped with fresh sweet fruit and crunchy granola. Yes, it’s as delicious as it looks! Not only is it a mouthwatering breakfast but it is going to start your morning off right, cleanse your body and get you right back on track. Plus, its insanely easy and you can totally customize this depending on the season or your preference. Whether you top it with berries, nuts, granola or seeds, its gonna taste fantastic! Seriously guys, acai bowls are one of my favorite breakfasts, and this insane fall flavor is no exception. WOOHOO! 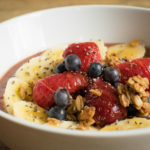 My Apple Cinnamon Acai Bowl is a cold, refreshing, creamy, acai smoothie base topped with fresh sweet fruit and crunchy granola. Yes, it’s as delicious as it looks! Not only is it a mouthwatering breakfast but it is going to start your morning off right, cleanse your body and get you right back on track. Plus, its insanely easy and you can totally customize this depending on the season or your preference. Whether you top it with berries, nuts, granola or seeds, its gonna taste fantastic! Seriously guys, acai bowls are one of my favorite breakfasts, and this insane fall flavor is no exception. WOOHOO! In a blender, puree the almond milk, banana, honey, cinnamon, chia seeds, and frozen acai mix until smooth. Add your ice cubes until you get your desired consistency. 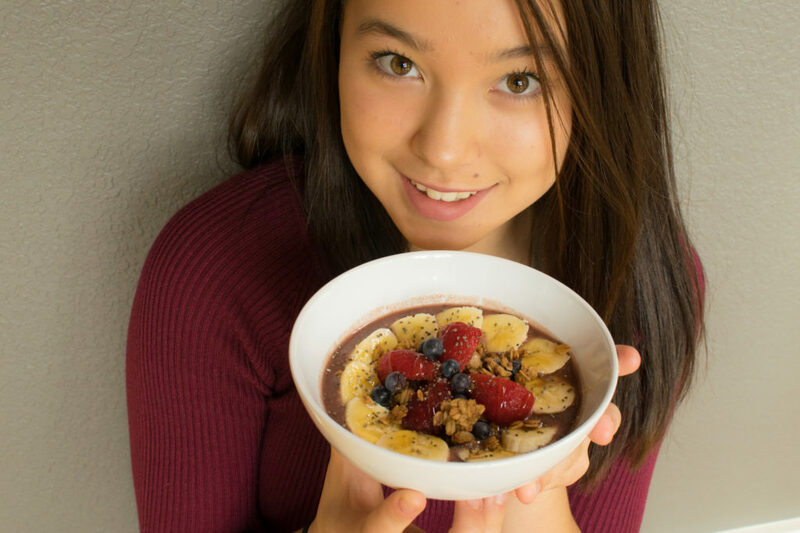 Pour your acai base into a bowl. Take photos and dig in!